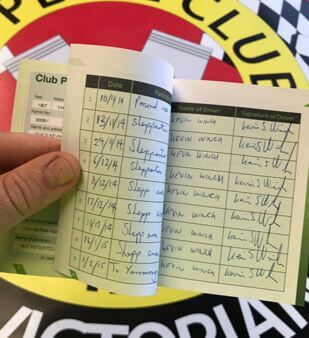 Don't forget to fill in the Club Permit Logbook each day the vehicle is driven. The legislation specifies it must be the driver on that date. There is nothing about every driver, so any person after that may drive without signing the logbook. As long as there is a date, destination and then a signature any driver is good to go till midnight that date. The logbook must be completed if the car is DRIVEN on a road or road related area more than 100 meters from its garaged address. If a vehicle was parked in a caravan park or away from it's garaged address, not being driven the log book does not have to be signed. It is only when it is being driven. There is a rumour getting around that the logbook must be filled in with pen & not pencil. A pen is a good idea. A pencil leaves you open to the suspicion of altering the log book. 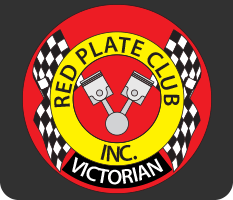 VicRoads have a "Policy" about this but there is no legislative requirement. Pen is a good idea. This is not a Heavy Vehicle log book, which has its own set of rules. The fine if caught failing to sign the log book is a penalty notice for an unregistered motor vehicle, about $780. If the driver is not the owner a second penalty notice may be issued to the owner as well. This has happened. Police take pride in their work, too.